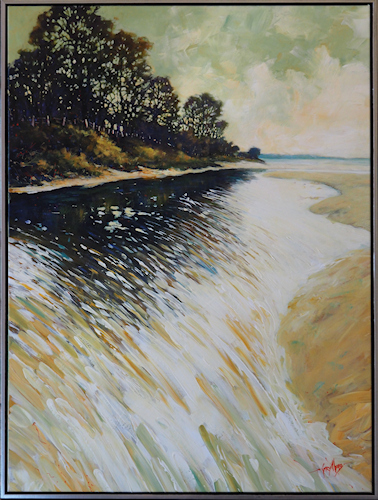 Razorback Gallery stocks fine art works from both emerging and established artists. The gallery features work of a contemporary nature in painting and printmaking. Montville, and surrounding towns in the Sunshine Coast Hinterland, was once home to many established and reputable fine art galleries. People would travel a distance to visit the Hinterland to browse the galleries for new work for their own collections. Over the past decade the number of galleries has reduced. Why? The rise of online galleries? Fluctuation in tourism trends in the local area? What ever the reason, it is exciting to see a new fine art gallery open in the main street of Montville. 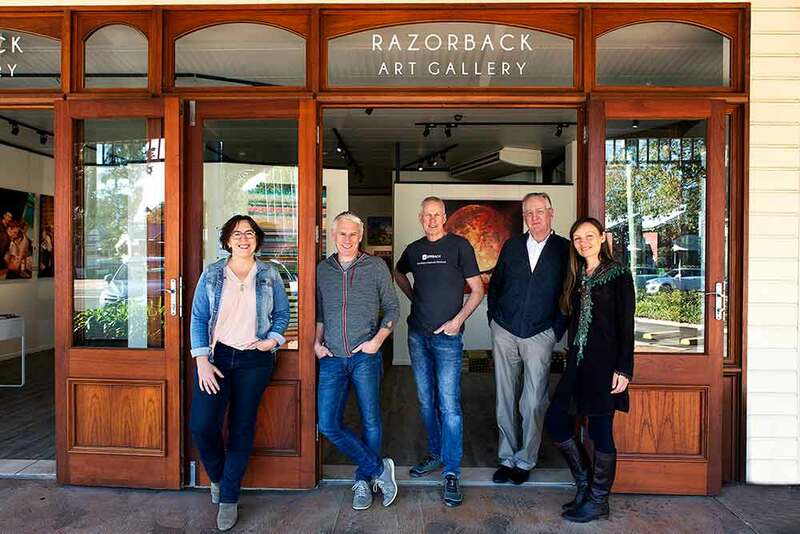 To bring a personal connection with the buyer into the gallery, something online ‘shops’ can’t do, Razorback Gallery is run by the artists represented within. This provides the visitor an opportunity to meet and engage with the artist whose work is on the gallery walls. Each day a different artist staffs the gallery. This means you can ask the artists directly questions about their work, their process, inspiration or motivation – anything. As an artist working in the gallery, I find it an exciting opportunity to engage with people interested in art. Being an artist is in many ways a solitary pursuit. Working in the gallery, seeing how people interact with the work, discussing and explaining the pieces on the wall is an exciting and insightful experience. At any one time throughout the day there will be several artists in the gallery, ready and willing to discuss their art. Some artists will be giving demonstrations. Below you will find information about the artists represented within and running the gallery. I have copied and pasted information below from the Razorback Gallery’s Facebook page. There are other artists represented, including Greg Adams, Chris Postle and Susan Skuse. (That’s me! 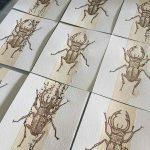 But I’ll talk here in 3rd person…) Sharing the craft of hand-printing onto paper and the calming and sometimes quirky moments from the natural environment drives Kim’s arts practice. 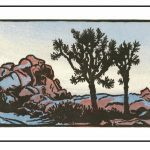 Working with relief and intaglio printmaking media, in a culture of haste and automation, she find that the natural environment encourages us all to be still and present. 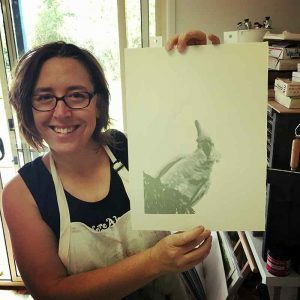 With her hand-printed printmaking art, Kim works to share this natural world into our busy spaces. Kim’s printmaking work covers lino printing, metal and solar plate etching, monotype, collagraph and the occasional digital inclusion, exploring traditional and new printmaking media. She also works with letterpress, where she can explore her love of type and the fading craft of hand setting lead type then inking the press to manually print the words. View all of my work here, in my online Gallery. Click here to see work for sale at the Gallery. Richard Muldoon is a highly awarded artist/painter living and working in Maleny, in the Sunshine Coast Hinterland. 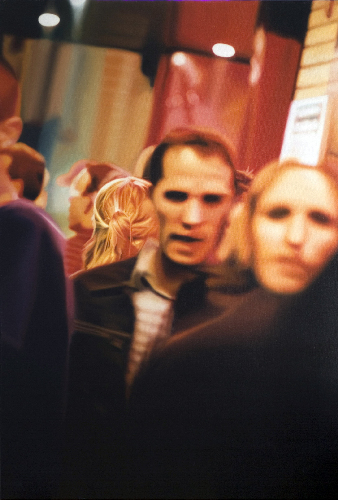 Working in the medium of oil on linen, Richard explores the relationship between painting and photography, and how one can be used to inform or illuminate the other. Considered a contemporary realist, Richard’s work is held in both state and private collections. See Richards work for sale at the gallery here. Gary Myers’ paintings are immediately identifiable … with a deep connection to the landscape, his iconic brush strokes and inspiring use of colour. 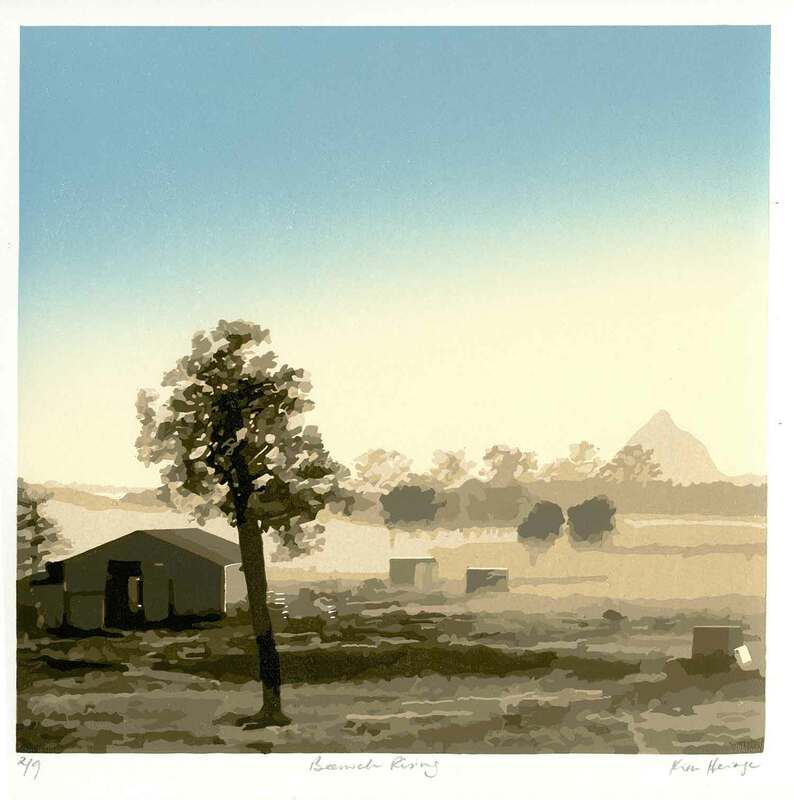 Gary is a full time artist, residing on Queensland’s beautiful Sunshine Coast Hinterland. It is here that he has been inspired to use a colourful and dramatic approach to his varied subjects. He has held many successful solo exhibitions and been awarded accolades in art prizes and awards in many art competitions over the last three decades. His work is represented in many private, corporate and educational institution collections across Australia and overseas. See Gary’s work for sale at the gallery here. See Chris’ work for sale at the gallery here. Visit Christopher De Lisle’s website. Laura Vecmane is a contemporary visual artist who has been expressing herself through a number of classical and experimental creative media – painting, mixed media, fine art photography, mosaic artistry and sculpture – since 2002. Born in a culturally rich country, early years of her artistic career were spent in Europe, studying art in Latvia, Denmark and Spain. The multicultural influences, impressions of nature, radiant light, rich and vivid colours, and scenes of the daily life have been inspirations for Laura’s art. Laura currently lives and works in Maleny, in the Sunshine Coast Hinterland, where she is exploring motives of native Australian fauna and flora, still life and interiors. 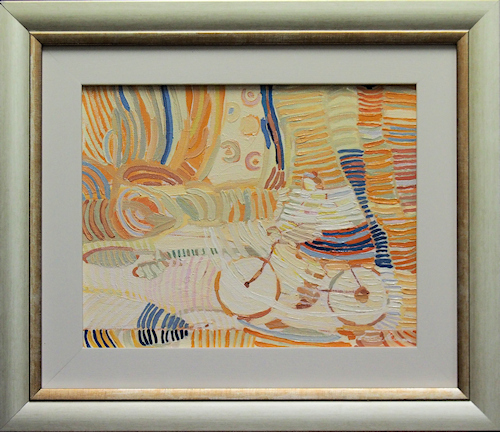 See Laura Vecmane’s work for sale at the gallery here.